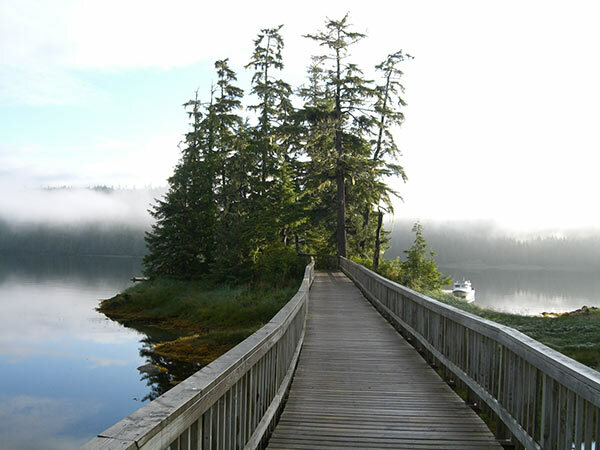 Alaska's Boardwalk Lodge is located in the lush rainforest of Prince of Wales Island, just 35 minutes from Ketchikan in Southeast Alaska. 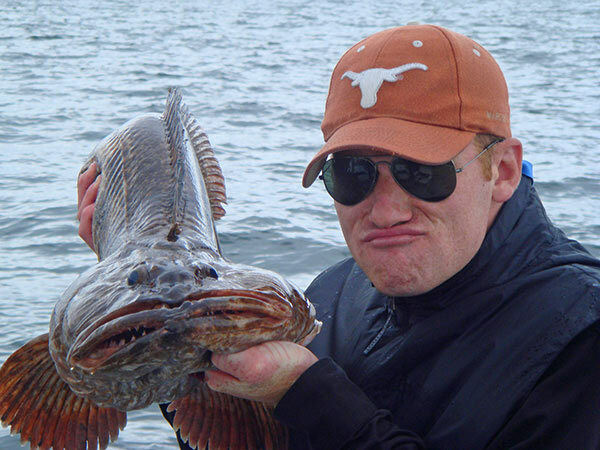 The lodge offers both saltwater and freshwater fishing. 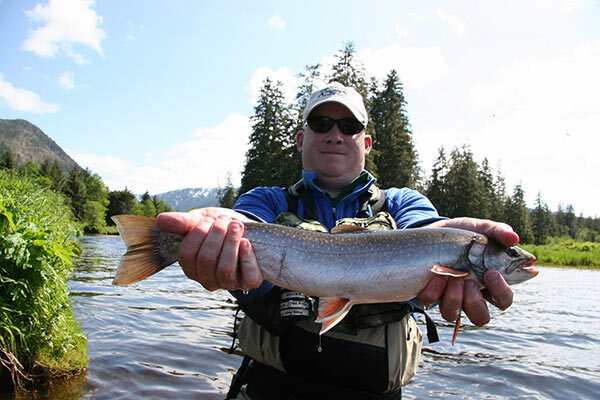 The guides lead daily freshwater excursions with your choice of 23 lakes, rivers and streams nearby. 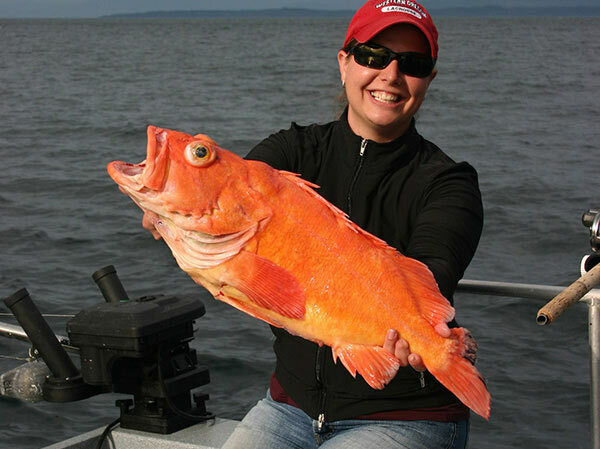 U.S. Coast Guard certified skippers charter the 28-foot fishing boats for saltwater adventures — targeting halibut, king salmon, silver salmon and several other species. They also offer many other non-fishing adventures. 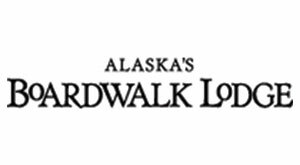 As part of this program, Boardwalk outfits you with fly fishing equipment, but you can also bring your own. 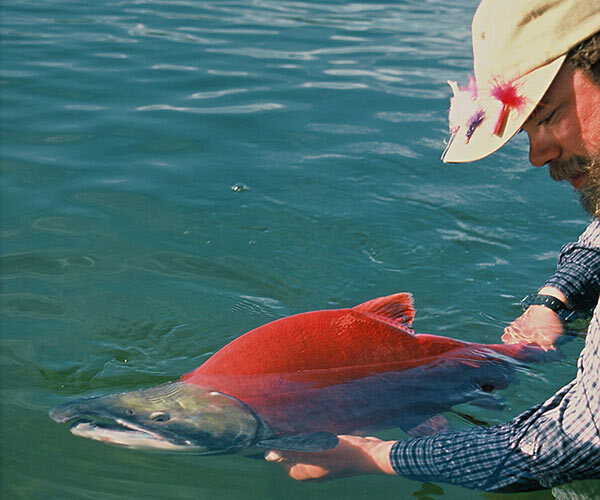 The guides will lead you in pursuit of numerous fish species at 23 different lakes, rivers and streams on Prince of Wales Island. 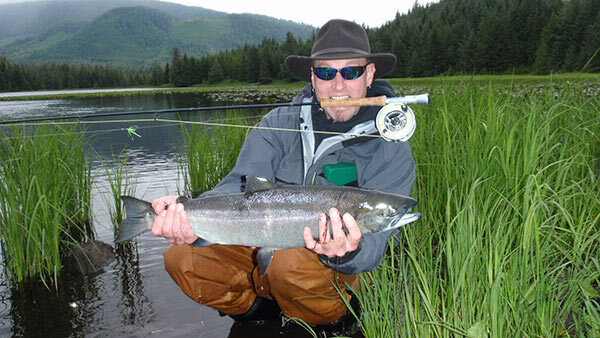 The fly fishing excursions are typically accessed via Suburban, although fly out trips are available at an extra cost. 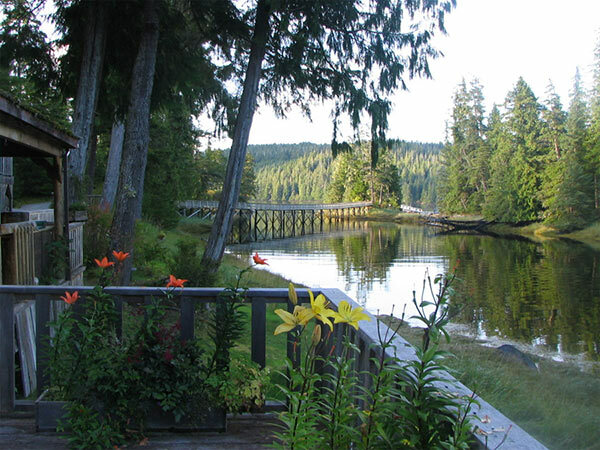 Most of the water they fish only receives pressure when Boardwalk guests venture out, and the Island's largest river, The Thorne, is just up the road from the lodge property. 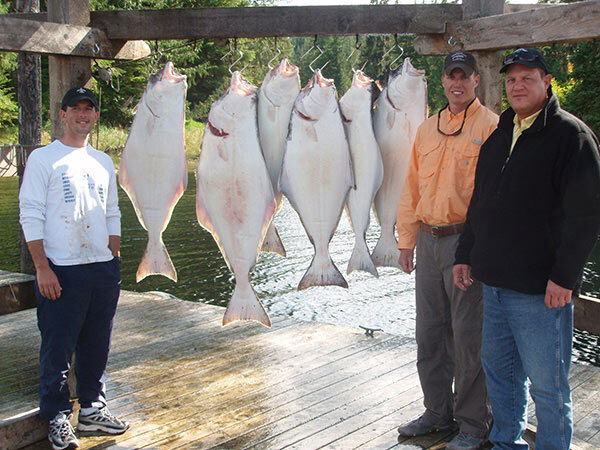 Because of the oceanfront location of the lodge on the Inside Passage, you can enjoy ocean fishing in relatively calm waters. This area is comprised of hundreds of islands, protected passages, bays and inlets; and the waters teem with fish and other aquatic life. Rarely do they fish more than 200 yards from land. The boats are 28-foot ocean cruisers. Each is equipped with a heated cabin, flushing private toilet and all required gear and tackle. The experienced captains are U.S. Coast Guard licensed, and certified in First Aid and CPR. 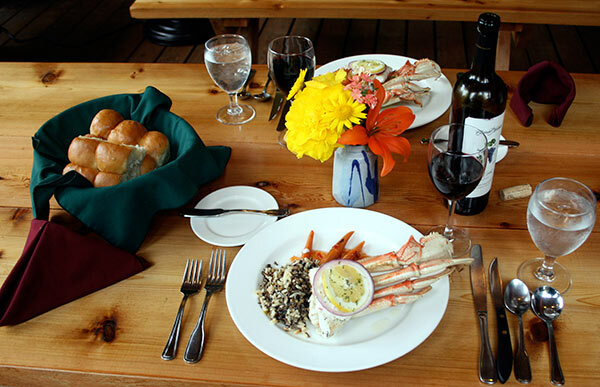 The two guest lodges sit on 26 acres of oceanfront property overlooking a tidal inlet of Thorne Bay, Alaska. 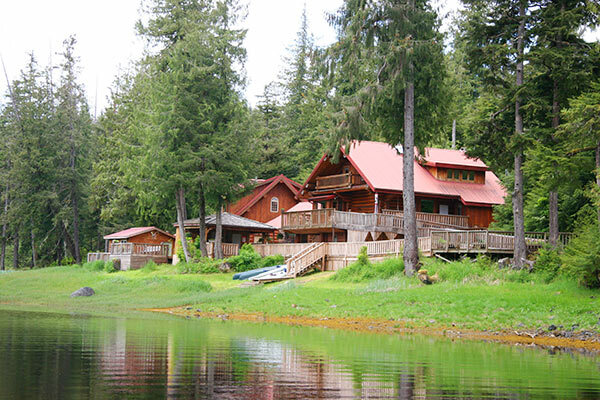 These lodges comfortably accommodate up to 19 guests. Each suite is fully furnished and ensures a comfortable stay. The Executive Chef draws inspiration from a number of culinary styles and methods to create a wide range of signature offerings that make use of local ingredients in season. For Breakfast you can enjoy pancakes, homemade cereals, and fresh breads and muffins with locally picked wild berries. High protein selections include omelets, eggs cooked to order, and a wide selection of breakfast meats and sausages. Beverages include gourmet coffees and teas, hot chocolate, a selection of juices, milk and smoothies. For the on the go lunches guests select from a wide variety of snacks, sandwich items, drinks, fruit, and homemade cookies. Dinner starts with either a fresh homemade soup or salad. Entrees include, but are not limited to, Alder Smoked Prime Rib, pan seared fresh Alaskan Coho Salmon, sesame crusted Alaskan Halibut, rosemary Chicken Breast, and citrus maple Glazed Pork Loin, with such accompaniments as fettuccini with a roasted red pepper cream sauce, sweet chili rice, creamy basil polenta, roasted garlicky cauliflower and summer vegetables.